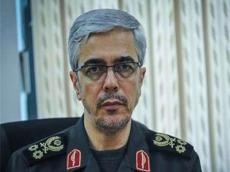 Chief of the General Staff of Iran’s Armed Forces Major General Mohammad Bagheri will visit Baku on Jan. 16 at the invitation of the Azerbaijani Defense Minister Colonel-General Zakir Hasanov, accompanied by a high-ranking military delegation, the Iranian Embassy in Azerbaijan told Trend on Jan. 15. Major General Mohammad Bagheri will meet the Azerbaijani prime minister and speaker of the parliament. During his two-day visit to Baku, Bagheri will hold talks on development of the Iran-Azerbaijan relations and cooperation in defense sector, joint border cooperation and fighting terrorism. An agreement on military and defense cooperation between the two countries is planned to be signed at the end of the visit. Bagheri’s visit is going to be the first visit of a chief of the General Staff of Iran to Azerbaijan.